Some life lessons need to be revised and dusted off in the memory and stories are the best way to do that. 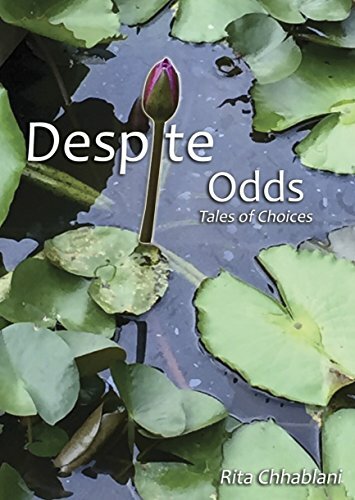 Despite Odd is a collection of women centeric stories that not just made me laugh or cheer with them , but also shed a silent tear thinking of the atrocities that women are still subjected to. My favorite story is "Back to square one" which showed how people change over time and yet each of us has the force to be right , be true to ourself and our friends. Another story , ""And spring returns" stunned me with the ending. As much as it was shocking , it made me question the reason behind right and wrong decisions. How we just need one hand to support us through the storms. "the phone call"was a true romance tale and of perseverance of love in the times when all things are changing so rapidly. And yet , a word of caution that the stories are very simple in language and plot. There are few twists that will amuse you but most of the stories are echo of some tales you carry in your heart. Nevertheless, all the stories make a lovely read. Rita's language and observation of emotions and situations can transport you into the scene easily and make you walk with the story as it progresses. The stories are heart touching , inspiring and so close to reality of so many of us that reading this book became some how important for me. Neither romance , nor historical fiction as a stand alone interest me much. But something about this book made me pick this one and though i delayed it some days , once i started , it totally was worth the lunches I missed finishing it. 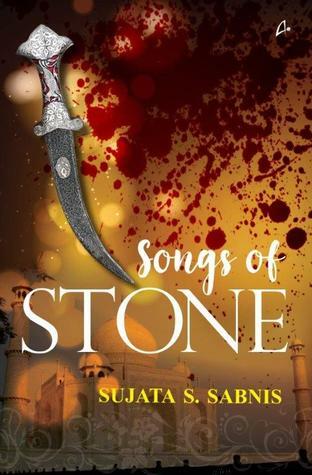 Songs of stone is a story of Nilofer and Jagat who are childhood sweethearts , separated by unfortunate events. Nilofer is sent to Jahangir's harem while Jagat plans her escape. The clarity with which Sujata has painted the life of harem and its various nuances is a delight.Love , heartbreak , lust , power play and beneath all this a longing to belong - all this comes out in the scenes that she created in the book. Absolutely amazing writing and such wonderful details that you can feel a part of some of the outlandish grandeur. Jagat and Nilofer's love story is inspiring and setting it up in the time when Taj Mahal was being built lends it another level of approval. In so many ways , Taj Mahal though was an expensive burden on the ordinary folks, but such are the things that we need at times to put faith in. In love and its symbols and the epics that are associated to it. The story and the all the plots in the book seamlessly keep moving forward in time and momentum , never letting my interest waver. The end was where you felt the story was fictionalized and that was some what predictable but still a good closure. This is one of the best reads for me in the last month. I will surely be checking Sujata's previous books next year. Do read it for the warmth it gives to heart any day.